Now that product including Favre as a Viking has gone live you figured it would not be to long before the cards started showing up for auction. Amongst the handful of custom created Favre cards comes the opening shot, a 2009 Donruss Threads Brett Favre SP for a starting bid of $9.99 or a BIN of $39.99. The card may be limited to 4,444 (Limited… really?) but this Short Print will even be showing up in Target Blaster Boxes. It should not be to long before we see a tidal wave of Favre Viking cards showing up for auction. I know collectors want players in their most up to date uniform, but $10 for a base card of Favre? Wait until Week 8 or 9 when his arm starts to fail and his numbers drop dramatically and you will see this card at a buck or two or better yet, wait until February or March when he announces his retirement again and you will probably find neighborhood kids putting the card in to their spokes. The Denver Broncos have suspended WR Brandon Marshall indefinitely for “exhibiting open acts of insubordination” earlier this week while on the practice field. Essentially, Marshall is acting like a little whiner until he gets his way. Marshall’s actions began earlier this year following hip surgery in March, since then he has whined that he is not being paid enough and has been demanding to be paid in the range of Larry Fitzgerald and Randy Moss type of money. So basically a 4th Round Pick wants to get paid like a 1st Round Pick. I understand that Marshall has played well over the past 3 seasons and I know that he earned incentives to jump his salary to $2.2 million from the original $535,000 contract, but that brings me to my point… HE SIGNED A CONTRACT! If a player plays well they want more money, but if they have a poor season I am sure they will refuse to renegotiate for less money. That is the problem with many current players they are never satisfied even though they are the ones who signed the contract in the first place. Instead of playing well and earning a huge contract when he re-signs next year he is attempting to force the Broncos in to either paying him more or trading him. This may end up poorly for Marshall though, the Broncos have just put him in to time out for the Pre-Season and from the rumors I have seen nobody wants to trade for him. Who wants a young Prima Dona that has been arrested more then a dozen times since college and is trying to misbehave his way in to a better contract? Description: Pacific actually states that this patch was cut from the sweater worn by Dunham on the opening game of the 2000-01 season. A game held in Japan between the Predators and Penguins. This was the first patch I ever pulled. 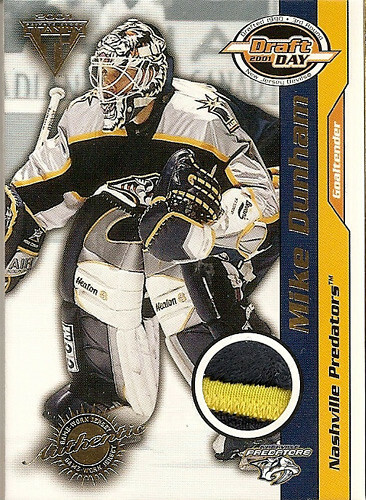 At a time when Pacific was putting jersey relics in every pack this was actually the only patch that I pulled from the box. The patch itself is made up of three different levels from the sweater, the jersey, the piping and then some felt like fabric. I like that Pacific can actually list the specific game that the jersey was worn unlike some other manufacturers that state things like "Worn by the player". As for the player I guess you can say "average" at best. Mike Dunham played for 5 different teams over a 14 year career. He went 141-178-39-5 with a 2.74 GAA. Not the best but clearly not the worst goalie either. The hobby does not need another black eye but here we go anyway. According to a recent report, Carlos Delgado filled a $2.4 million lawsuit against a couple memorabilia dealers. According to the release Delgado signed a contract with 4 men who run a shop on Long Island where the men agreed to sell roughly $400,000 worth of Delgado’s autographed and used memorabilia but instead kept the merchandise for themselves and never paid Delgado for the items. I understand collecting can be a compulsion but honestly stealing items from a player under the guise of selling the items and under contract no less. This is a situation where these men need to look back and consider if it was worth stealing $400k worth of items from Delgado and in turn end up paying out on a potential $2.4 million lawsuit? My son grabbed a couple of packs of WWE Wrestling cards today while we were out and he busted them on the way home. It is fun to watch kids rip packs because they are so excited about each and every card, it is not all about hits and how much they can make on each card, it is collecting at its most purist point. When we got home he wanted to show me what he got. The first card he pulled out to show me was a Rey Mysterio Allen & Ginters mini. This card took me back to a younger day for me, late 1998 to be exact... well … as exact as I can remember. This was back in the day, single and with disposable income, I took off with some friends to Las Vegas to catch a Monday Night Nitro at the MGM Grand. After an entertaining evening we left the arena and found ourselves walking side by side with none other then the man himself. He was unmasked, this was at a time when he was never seen without his mask, but the Sun tattoo on his right shoulder and limping on a knee that he injured that night we knew who he was. Rey Mysterio was a nice guy, not what you would expect from a “star” really. He was polite and willing to talk and while I hoped to get an autograph I felt it was an imposition since he was injured and probably wanted to just get back to his room. Really an overall nice guy. It is funny how a single piece of cardboard can bring back such vivid memories. Are the lines of the hobby becoming blurred in relation to what is considered a sports card? Recently there have been releases that were entirely non-sports related as well as some sports sets containing both base cards and inserts that are not related to sports in any way. I ask this question because according to the Razor Twitter site they will be releasing the 2009 Razor Poker set within a couple of weeks. Poker may be entertainment to some but by no means is it a “sport” to any. In the last few years we have seen releases that include actors, presidents, hoaxes, criminals, DNA, insects and pieces from various locations. Don’t get me wrong, I love some of these cards and have picked a number of them, in fact one of my favorite all-time hits was when I pulled a James Cagney jacket swatch from a pack of 2007 Donruss Americana. I do think that Donruss got it right when they created the Americana release, this gives collectors the opportunity to pull some interesting hits but it remains a set for a specific type of collector. I can only imagine what it would be like to pull a George Washington Cut Signature or a piece of Lincoln’s hair but that is not why I buy Legendary Cuts, I want my hits to be of legendary ball players. I would rather pull a Gehrig Cut Signature or a Cap Anson hair strand. Just my 2 cents. I posted the card at Bad Wax’s Custom Card blog yesterday. If you are interested in viewing some cool custom cards take a look. 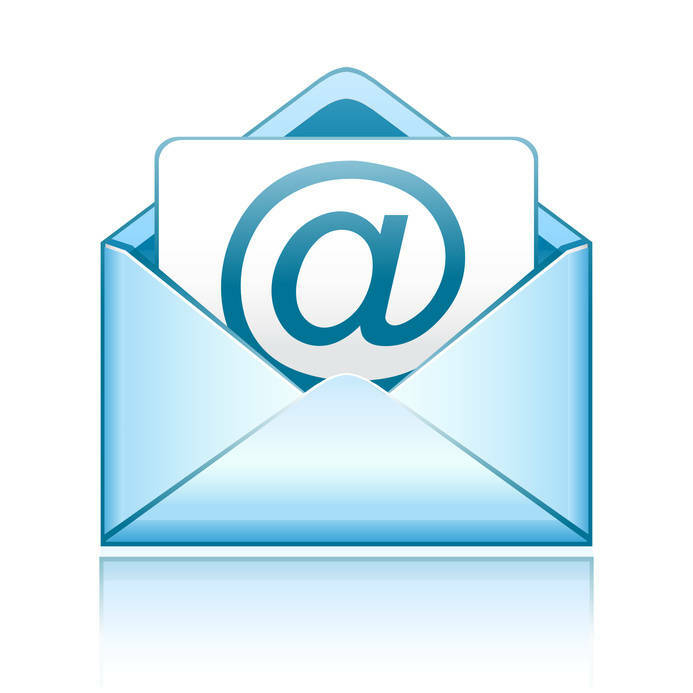 There are numerous contributors so you get a large variety of cards. Brett Favre is back… again! It seems that Favre is going to continue this path to completely destroy his legacy and reputation when he signed a $12 million contract with the Minnesota Vikings this morning. His contract is pending a physical but that is just a formality. I am sorry but Favre forced the Packers to deal with his yearly retirement talk and when he got called on it he had a fit and forced a trade. Then he started strong for the Jets but ultimately caused their collapse when he insisted on playing injured and once again played the retirement game. Now he had the Vikings on edge until July 28th when he said he was staying retired. But once again he changed his mind after the Vikings had already moved on with their plans at QB. Don’t get me wrong, I put Favre up there as one of the elite QBs with Marino, Montana, Elway and Young but he is ruining his placement in that echelon with his behavior. Gone are the days of his 3 MVPs and 2 Super Bowls, in their place sits the shell of a man who seems to feel compelled to continue playing even though he is a mere shadow of his former self. 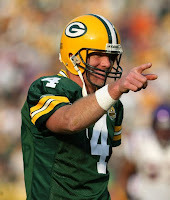 I like Favre, I always saw him as the down-home good guy who played hard but still had a good heart. His appearance in “Something About Mary” seemed to solidify him in that persona. I just wish he would have taken his own cue and retired as a Packer, that just seemed to define who he was but these past few years show a different side of the guy we all loved, a more concerning person who looks to only care about himself. It is like he is trying to prove that he can still play and he will force that on to any team that is willing to sign him. Come January will the retirement talks begin again, maybe next season he will be signing with the Rams, 49ers or even the Texans? 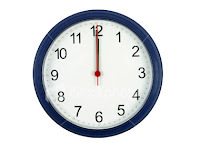 There is now less then 8 hours left for teams to sign their draft picks from June’s MLB Draft. It looks to be an insanely busy night for many teams, especially considering that the top 3 picks, Strasburg, Ackley and Tate still have not signed and 10 of the top 15 players have not signed. The sad thing is that of the 13 picks from the First Round remaining to sign, Scott Boras represents 6 of them including the first 3 picks. You have to wonder how long Boras will hold out to get insane numbers for his players. 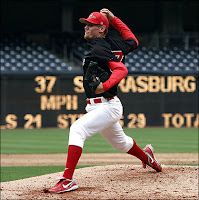 The Nationals are rumored to have offered Strasburg $12.5 million, topping the previous record of $10.5 million signed by Mark Prior in 2001, yet Boras still has not jumped on the offer. I guess we will have to wait a couple of hours to see how things unfold. My Mariners are still in negotiations with #2 Pick Dustin Ackley, which from what I have read appear to be moving in the right direction. The team recently signed the #27 Pick SS Nick Franklin. One thing that I would like to point out to Ackley is that 22 years ago the Mariners drafted another hard-hitting left handed outfielder with the #1 Overall Pick and things have worked out quite well for that Future-HOFer. Remember, Safeco Field was built for Griffey; it is a left-hander’s paradise. Being a Graphic Designer I love art, so when I find available time I enjoy mixing my love of art with my hobby and creating my own cards. I like that as a designer I am free of corporate mandates and the cards I create are of my own design. The downside is that I am limited to images of the players that I can find either on the Internet or in magazines. I figured every so often I will post some of the cards that I have created, with some being "What If?" cards and others will be original designs. I have a couple of sets in the works and when they start to come together I will post them too. The rumors can be put to rest; Michael Vick is now an Eagle. The Philadelphia Eagles will be holding a news conference on Friday morning to announce the signing which is believed to be roughly $8 million over 2 years with an additional $3 million in incentives. I know that having 4 QBs makes it difficult to share the time so Feeley may want to grab a clipboard and headset since he will be the odd man out. Vick is expected to take on a position as the Wildcat QB for the Eagles; almost a hybrid QB-RB that can run the offense and cause defenses headaches. I am not an Eagles fan (or Vick fan) and I do not agree with Vick being allowed to return to play professional football but it will be interesting to see how he acclimates back in to the NFL after missing the past two years. This time will also show if he truly has changed or if this "good-guy" image is fluff being blown just to get him back in the league. I picked up a couple of packs of 2009 Topps NFL cards and while busting the packs I noticed something on the back of the pack that I have never seen before. Normally I do not pay much attention to the back of packs outside of checking the odds the various inserts. I grabbed a pack of 2009 Topps Magic football to see if it was on other Topps packaging, and there it was right behind the seal fold. My wife asked me to run out to the store and hit me with the dreaded words “Don’t go crazy” which is code for “No stopping at the card shop”. Now, she didn’t say that I couldn’t pick up a pack or two while food shopping so I stopped by the card aisle to take a look. Looking for some baseball packs to bust, I am always on the search for Griffey cards, I was hoping to grab up some A&G but unfortunately a pack searcher had hit the section and most of the packs were bent already. I did end up finding some A&G packs that did not look damaged so I grabbed them and left. When I got home I tossed the packs on my desk and went about the rest of my night. When I finally sat down to bust the packs I kind of laughed because I think I got the pack that the searcher was looking to find. Not saying that these were the best pulls ever but some of the cards I found include a Yunel Escobar Jersey, David Price Baseball Highlights card, which is a very cool card, and a Matt LaPorta rookie. I guess what I am trying to say is that pack searchers may end up finding the occasional packs with “hits” in them but they end up damaging a ton of product while doing it. I know that someone will always ruin the fun but this can get out of hand and actually ruin the hobby for some collectors. Panini’s is set to release their first basketball product, 2009 Prestige Basketball, scheduled for release this October. Because this will be the first release of Panini since signing the exclusive NBA rights deal this release may end up being a litmus test for collectors who may feel uncertain about the Panini and Donruss collaboration. The base set consists of 150 veterans and 100 rookies, the set itself is similar in appearance to the 2009 NFL Prestige set using white and silver/gray overtones. You are going to find veteran players like Kobe, LeBron and Durant as well as rookies like Panini spokesman Blake Griffin, Hasheem Thabeet and Jordan Hill. I like the full-bleed photos; you seem to get a better view of the action because a border does not hinder it. The inserts are pretty standard for a basketball release, plenty of autographs, memorabilia, parallels and serial numbered sets. Honestly I feel that 64 insert sets is way to many, this is a case of “overkill”. Given that many of those sets are various color parallels where the only difference is a color and serial number, but still seems like to many. The sell sheet says that you will receive 4 Autos or Memorabilia cards per box. The autographs are on stickers, an unfortunate choice especially for this situation where the release is Panini’s first attempt in the US. There are at least 15 autograph sets including; Super Sophs and Old School. Again, the sell sheet says you will receive up to 4 Autos or Memorabilia cards per box. 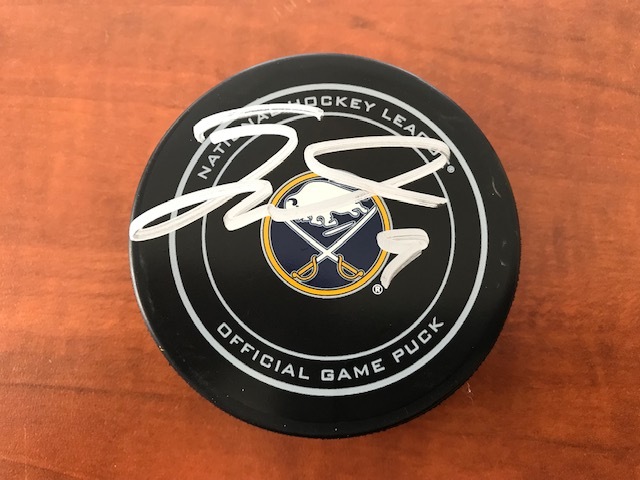 There may be as many as 25 memorabilia sets including; Connections, Prestigious Pros, Inside the Numbers and Hardcourt Heroes. I like the base cards; they are action shots that are full-bleed. Nice coloring is used which can make or break a set from the start. With a solid checklist of both veterans and rookies I think that you will be quite happy. Some of the inserts are pretty cool too. I like the “retro” feel to the Old School auto cards and the Prestigious Pros memorabilia set works nicely. There are a couple of sour points that I have with this release, the first being the extensive amount of inserts and parallels. When there are 64 various inserts you have really inflated the set beyond necessary limits. I feel that Panini may have decided to go this way to increase the number of hits a collector will pull per box and while this makes for a happy collector it also makes for a lot of worthless pulls, I am sure eBay will be flooded with parallels and inserts by the evening of October 7th. Some of the memorabilia cards suffer from poor design too, they seem unorganized and the jerseys are placed in oddly cut windows. The Hardcourt Heroes also remind me of the older Upper Deck and Fleer jersey cards, lots of color and lines and a dime sized jersey piece. In the end I find that there are definitely some positives to the set but there are some sticking points too with the sticker autographs and oddly designed memorabilia cards. I want to like the set because I am an NBA fan, I really do but beyond the base set and a couple of inserts I am not greatly impressed. I am trying to keep an open mind though and being that this is Panini’s first shot at NBA cards I will reserve judgment for now and settle down to wait and see. Something bothered me about one specific card design in the 2009 Basketball Prestige release. The Connections insert is loose; the colors are poorly used along with photos that are cut off. To top things off, the relics are small and oddly die-cut. This is a set that should have been either left on the design room floor or re-worked. Late last night I decided to work on a design based on the Prestige Connections insert, I tried to keep it along the lines of the original release. I am not saying that this would be the best option but at least it ties up the looseness of Panini’s design. You get a clean view of both the player’s photo and the jersey pieces, there is a hierarchy to the design and allows you eyes to flow. In some great news out of Seattle (for us Seahawk fans), the Seahawks First Round draft choice Aaron Curry agreed to terms with the team for a 6-year $60 million deal. Now that the 4th overall pick has signed a contract the Seahawks look very solid at linebacker with Curry, Hill and Tatupu (my personal favorite) pegged for the starting linebacker positions. Last year was a fluke; a number of injuries to key positions and some new players coming in it was bound to cause some grief for the team. But now Hasselbeck is back and healthy not to mention a solid receiving corps with Nate Burleson, TJ Houshmandzadeh and Deion Branch. John Carlson and Julius Jones have now been with the team for a year and have learned the system. Things can only go up with this team, even with Jim Mora taking over. I don’t see a return to 2005-06 form but making it to the playoffs should not be out of the question. Additionally Judy Heeter, the Director of Business Affairs and Licensing for the MLBPA, said "We believe strong competition is generally good for consumers, and expect that our ongoing relationships with both Topps and Upper Deck will ensure consumer choices that lead to category growth." Upper Deck will not back down and the MLBPA is supporting them. I, along with many other collectors, am relieved to hear that Upper Deck is committed to continuing in the baseball market. The MLBPA is absolutely correct by saying that competition is good for the consumers and it is situations like this that bring about brand loyalty. I have said all along that signing exclusive contracts is just good business but in this hobby it could adversely affect the consumer in the end. One of the coolest recent releases that comes in under the radar is Just Minors farewell release Just Minors Mystery Jersey 2009. Just Minors is leaving the baseball card and memorabilia market but they are leaving with style with this release. 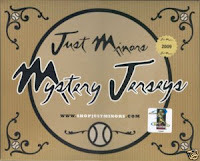 A Mystery Jersey 2009 box, which sells for $120 at Just Minors website or around $100 on eBay, contains 1 random autographed jersey(actual full-size jersey) and 2 autograph cards. There are even game-used jerseys on average of 1 in 60 boxes. The checklist, while short (only 38 players), is pretty varied and includes both Minor Leaguers and Major Leaguers. The Autographed checklist includes Alex Gordon, David Price and Josh Hamilton. The Game Used checklist includes mostly Atlanta Braves and USA Baseball jerseys like John Smoltz and Chipper Jones. Probably the best of all is that there is an autographed Mickey Mantle jersey inserted randomly, now that would be an ultimate pull. 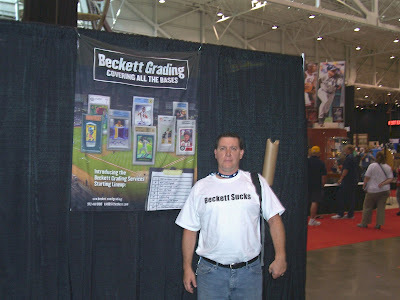 By now most of you have heard that beginning January 1, 2010, Topps will be the exclusive card company of MLB. This means that Topps has the exclusive rights to creating baseball cards, stickers and specific other products featuring MLB players, team names and logos. The first exclusive card set to be released by Topps will be the Topps Baseball Series 1 in February 2010. Just the other day I was talking about Panini having the exclusive rights to NBA licensing and now Topps signs one with MLB. What is next Upper Deck working to sign an exclusive NFL license? I understand that this is just business and some people claim that this will help stimulate the trading card market as well as “cut the confusion” for collectors, but honestly it also isolates a segment of the collecting community and in the end may cause some collectors to either leave the hobby or adjust their purchasing habits. Fortunately Upper Deck still has the MLBPA license so they can continue to create sets using MLB players, just not team names or logos and Donruss loosing the MLB license a few years back has not stopped them from putting out baseball sets. Hopefully I am wrong and this does not affect the hobby in the end. In the news today I came across a story about Maurice Clarett withdrawing his request for early release from prison. I had to go back and do some investigating to find out why he had requested his early release from prison. Turns out that he asked to be released this past April to join the Canadian Football League. Additionally his agent has claimed that NFL teams have been contacting Clarett in prison but will not name which teams. That seems odd that he supposedly has been contacted by interested NFL teams yet wants to be released to play in Canada. This guy has not touched a football since the Denver Broncos cut him in August 2005, does anyone honestly believe that Clarett will actually ever return to the NFL? Hell, I don’t think we can even call it a return considering he never played a down of professional football. So why am I bringing up Clarett? Because it appears that there are collectors as delusional as Clarett and his agent. Why in the world would anyone pay $1000 for an autographed logo patch card of a head-case who is in prison and has never played in the NFL and probably never will? If you seriously need to have an NFL shield logo patch card you can pick up a Favre/P Manning duo logo patch for $900, a Brady/McNair duo logo patch for $800 or a cool Bulger/ Lewis/ Leftwich/ Klopfenstein quad auto logo patch card currently at $92 with 8 days left, why would anyone blow cash on a has been/never will be? In disappointing news today, multiple media sources have stated that the Arena Football League will be folding and declaring bankruptcy. There should be an official announcement coming soon. The league, which was formed in 1987, halted operations in 2008 due to the recession but in April 2009 the league announced that they had begun preparation to resume playing in 2010. Since operations were halted in 2008 two teams have folded and you could figure it would be a matter of time before the other 15 teams would start feeling the burden of no income. Since the first season in 1987 I have been a fan, I love football and having a game played in a small arena meant more scoring and more impact hits, which made the games more exciting. I have always had a connection to the Arizona Rattlers too. Being that the team was a new franchise they held open tryouts for new players, in the end many of the players on that first Rattlers team were players I knew or played against in high school. Additionally the second coach of the Arizona Rattlers, Todd Shell, graduated from my high school (10 years before me) and was an Assistant Coach for my high school team during Spring and Summer training in 1989, giving me the chance to meet and learn from him. I will sorely miss the Arena Football League. Panini hit the National with their first basketball release, well not really the first release but more of a preview. The set, from what I can find, contained base cards, autographs, the Old School insert and a patch card. There are 4 base cards, 2009 first round draft picks Blake Griffin, Hasheem Thabeet and Tyler Hansbrough along with Derrick Rose. The autographs, which were signed at the show, were Blake Griffin and Tyler Hansbrough. I have seen 2 Old School inserts, a Larry Bird (unsigned) and a Kevin McHale signed (sticker auto). The patch card is a manufactured UNC patch of Tyler Hansbrough autographed and #/5. This set is a preview of the 2009-10 Prestige basketball set that is being released in October, the only difference is that all of the National cards portray the players in their college uniforms and the Prestige release will have the players in their NBA uniforms. I was able to find at least one copy of each of the cards available on eBay if you are interested, quite a few are very reasonably priced too. Some of the images included are courtesy of eBay auctions, I would like to thank: leader14, franco4c54, scott568, troley78 and legendsautograph. I was listening to the Sports Card Show podcast today while sitting at the pool and Colin had brought up Panini having the NBA License and it made me think back. When the news was announced in January that the NBA was signing exclusively with Panini I was really against it because I feel that a single manufacturer can prove fatal if the company becomes stagnant and their releases are lazy. But then it can turn in to a complete score if the releases are well thought out and original. I guess we will see how Panini/Donruss do when they release the 2009-10 Prestige Basketball set in October. I have seen the Prestige sell sheet and I kind of like what I see, I am not sure about the autographs though, in the sell sheet the autos look on-card but the auto of the Kevin McHale Old School Signature from the National the card has a sticker auto. I am going to do a review of the 2009-10 Prestige Basketball set within the next few days, I just want to get as much information about the release as possible. The other day I pulled a 2009 Goodwin Champions Preview Card of Tony Gwynn, one of the best pure hitters of our generation, and decided to take a closer look at the upcoming set scheduled for release in September. The set is based on the 1888 N162 Goodwin Champions set. Goodwin actually produced 4 sets between 1887-1890 (Old Judge, Old Judge Cabinets and Gypsy Queen being the other 3 sets). As was common in that time period, the cards were illustrations of the player and Upper Deck’s 2009 Goodwin Champions set follows suit. From what I have seen the set checklist seems to be greatly varied with players from many different sports including baseball, basketball, hockey and even UFC and politicians. You will find superstars like Ken Griffey Jr and Tiger Woods. Players that are coming up like Evan Longoria and Alex Ovechkin and even some of the greats from the past like Joe DiMaggio, Michael Jordan and Patrick Roy. The minis are similar to the minis you find in almost every other retro set. You will pull 1 mini card in each pack and there will be different backs and borders, otherwise the minis are the exact same cards as the base set. The inserts in this set are pretty standard with printing plates, minis and a couple of subsets such as “Citizens of the Day/Century” and a continuation of the UD 20th Anniversary cards. The autographs are on-card signatures, definitely a pleasant change from all the sticker autograph sets currently being released. I came across a preliminary autograph checklist and I have to say it looks pretty solid. I have not seen what the cards look like yet and I do not have a checklist besides Cal Ripken Jr, Joe DiMaggio and His Airness himself, Michael Jordan. These cards are very interesting but I believe that they will only be collectible to a very specific type of collector; I don’t see the average sports card collector hunting these down. There are 3 different kinds of these special memorabilia cards Entomology, Landmarks and Thoroughbreds. Entomology cards contain collections of insects and butterflies. I am talking an actual butterfly on the card. Landmark cards contain items from famous landmarks around the world including coal from the Titanic and salt from the Dead Sea. Thoroughbreds contain hair from famous horses. The champion of the Goodwin Champions set has to be the Buybacks of the original 1888 Goodwin Champions set. As a vintage collector I love the pre-war sets, the older the set the better so the buybacks are just another incentive for me to pick up a couple of boxes to bust, not that I need any more incentives because I plan on working on a set. Overall I think that the 2009 Goodwin Champions set is going to do very well, especially in the current market where many of the retro sets are doing well. Personally I like that Upper Deck stayed rather true to the original set, the checklist looks solid from what I have seen and the autographs are actually touched by the player. I think that the autographs are going to be the driving force of this set because they look good and they are on-card signatures. I would love to get my hands on an original N162 too, which is one set that I do not have in my collection.